Price Range £113 - £180Price RangeSimply drag the slider bar to set your price range. 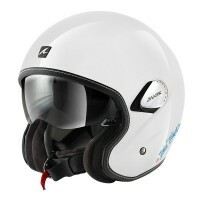 The Shark Heritage helmet is constructed from fibreglass and has plush interior's made of bamboo fibre. 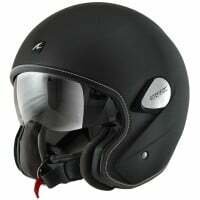 Other features on the Shark Heritage helmet include; integrated anti-scratch drop down clear visor, double D retention system and fully removable interiors. There is also a planned location for Shark's Sharktooth Bluetooth system.